When I was getting ready to graduate from high school, I was debating whether to go into the Air Force or attend community college. Thankfully, I received a scholarship that helped me make my decision. This is especially fortunate, as I am not overly fond of being told what to do and probably would not have survived Boot Camp. Additionally, after my brother had attended a private institution, there were little funds remaining in the household for me to pursue my college degree. I credit that scholarship, my caring professors, small class sizes, and the affordability and accessibility of Broward Community College for providing the foundation for my success today. Now, I give to the Polk State Foundation because I want to help open the door to a bright future for others like me. Even more so, I donate because of the reality that so many of our students face– they have challenges that I cannot fathom, and yet persist through it all until they have their degrees… no matter how many years it takes. In closing, I want to express my heartfelt gratitude to each and every one of you who donate – no matter the amount. EVERY SINGLE DOLLAR donated genuinely makes a difference in the lives of our students and is truly appreciated. Each generous offering is turned into opportunity, as a needy student pursues his or her goals. Happy graduation– and happy holidays to each of you! Thank you for the joy you bring year-round. Cheryl Williams has spent her entire career in education and has a natural inclination to improve the lives of others, always seeking opportunities to help them succeed. 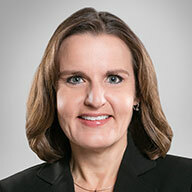 Williams graduated from Lake Wales High School in 1989, then continued her education at Polk State. After graduating in 1992, she continued her studies at the University of Florida, earning her Bachelor of Arts degree in English in 1994 and her master’s in Education from George Washington University in 1997. Early in her career, Williams taught high school English. She later spent time at Polk State as an academic advisor in the Educational Talent Search (ETS) Program, and also worked as an adjunct professor of English. 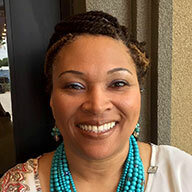 After leaving Polk State’s grant-funded ETS Program, she worked at Florida A&M University in the TRIO/Student Support Services Program before embarking on a career at the University of Florida in 2002. Today, Williams serves as the University of Florida’s Research Coordinator for the College of Education. This position allows her to live in Polk County while traveling the state for outreach efforts. In this position, she collaborates with educational institutions and state agencies to build research opportunities within the College of Education. As Williams notes, “Research shows that a child’s path for success in the classroom and life can be determined by third grade. My current research project pairs college-age young men with third-, fourth-, and fifth-grade boys who share similar backgrounds to provide one-to-one mentoring toward improvements in school grades, behavior, and attendance.” This project follows a specific curriculum, the Situational Environmental Circumstances (SEC) Mentoring Model, founded by Dr. Randy Nelson. The SEC Project is not a tutoring program, but rather a mentoring program that enables young boys to see how making good choices–even when faced with challenging life circumstances–can open doors to education and a better future. In addition to her work as Research Coordinator, Williams also serves as the Program Director of the Florida Fund for Minority Teachers (FFMT). The FFMT, Inc. is a non-profit organization housed at the University of Florida. It provides scholarships to minority students enrolled in state-approved Education programs throughout the state. In this capacity, Williams oversees daily operations and reports to the FFMT Executive Director. She also conducts an annual teacher professional development and recruitment symposium, and tracks students who are receiving program scholarships. To date, this state-wide professional development training program has resulted in the production of more than 5,000 teachers in Florida’s public schools. In working to recruit others into the teaching profession and implementing programs to help at-risk students, Williams says she has found her niche–providing important programs that help improve the lives of others and the community. Her professional work is complimented in her personal life by also serving as an Associate Pastor. In this role, she provides training and development to new ministers. Williams attributes her drive and passion to her family. Many of her family members also attended Polk State. Ivadene Howell, her mother and a Polk State Nursing graduate, was recently named Top Nurse and featured in a Polk State Nursing Alumna story in May 2016. The late Robert Howell, Jr., her father, studied nursing in 1970. Twanna Howell Davis, her aunt, earned an Associate in Science in 1975 with an intention to pursue a medical degree. Commissioner Terrye Howell, her aunt, earned a Polk State Associate in Arts degree within a Sociology track in 1978. 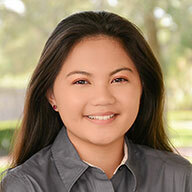 Mikka Mendoza grew up in the Philippines and moved to Florida in 2008. As the youngest of three, she attended Polk State Chain of Lakes Collegiate High School, volunteering as an Eagleteer while participating in other service clubs. As an Eagleteer, Mikka has assisted with many campus-based activities to benefit students, such as organizing time-management and student-leadership workshops, as well as awareness campaigns for homelessness and breast cancer. She serves as a passionate mentor for incoming freshman through the First-Flight Peer Mentoring Program. A devoted student, Mikka earned her Polk State Associate in Arts degree while still in high school, and is continuing her studies through the Bachelor of Applied Science degree program. With an older brother already in college and her self-employed father facing medical expenses, the family’s finances were already strained when it came time for Mikka to start her baccalaureate degree. Mikka’s Polk State College Foundation scholarship offsets the cost of textbooks for her classes. In combination with service-based scholarships earned through her volunteer endeavors, Mikka has been able to cover all of her college expenses on her own–without the need for student loans. She is now able to focus on her studies in the Honors Program and apply her talents within her position on the Polk State Winter Haven Campus Student Government Association (SGA). Mikka’s degree focuses on business concepts, and she plans to pursue managerial work in a nonprofit organization after she pursues her master’s degree. By combining her passion for helping others with her experiences in raising awareness and funding for underserved populations, Mikka dreams of working for a nonprofit that serves children in third-world countries.